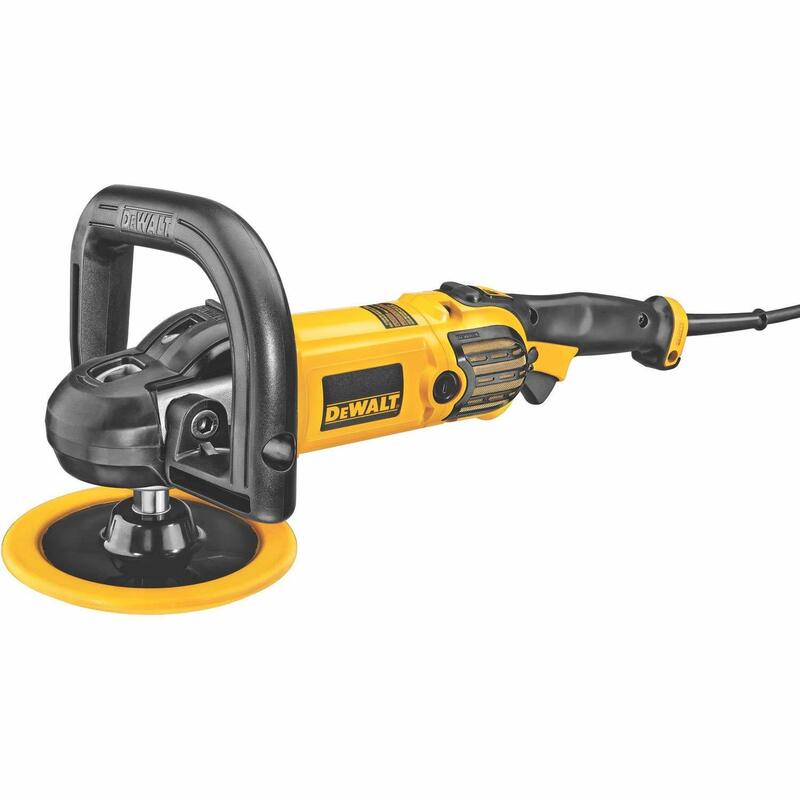 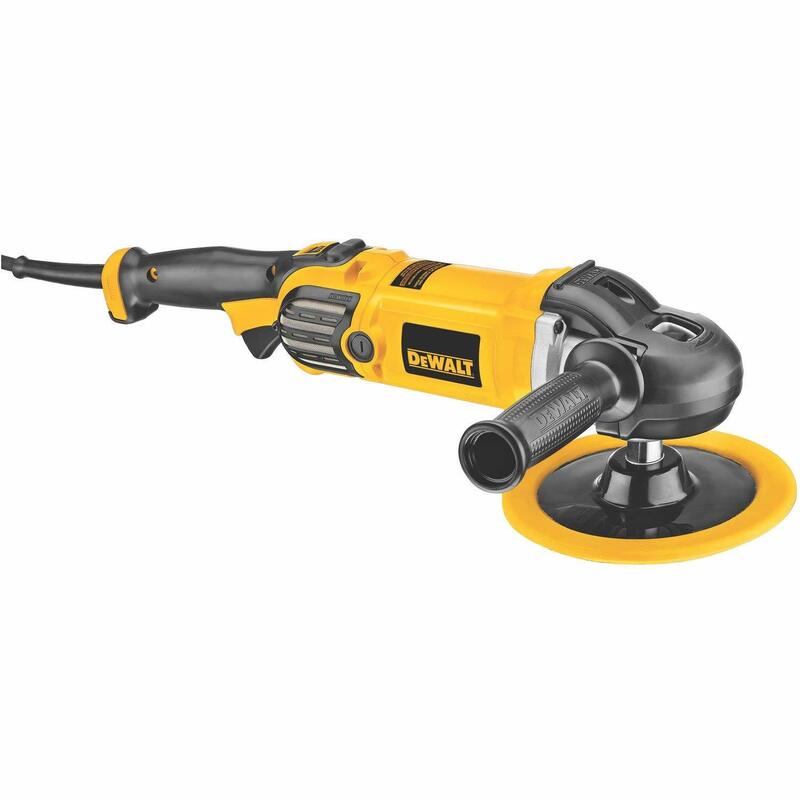 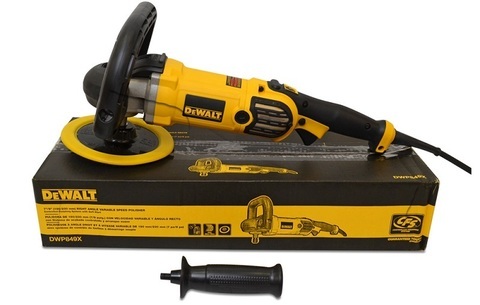 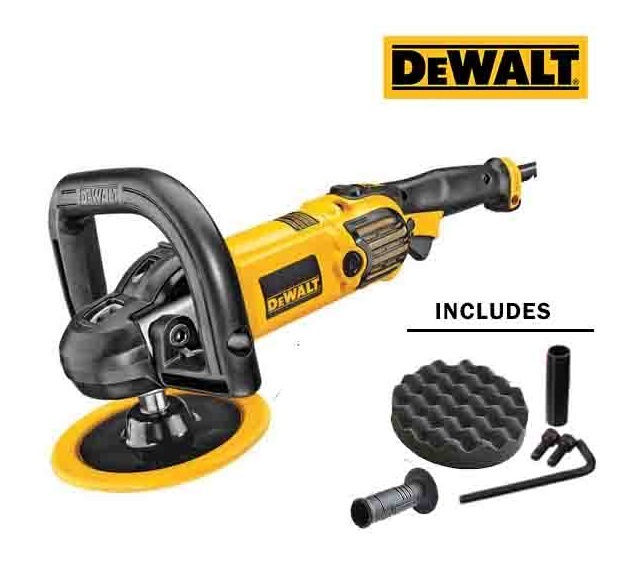 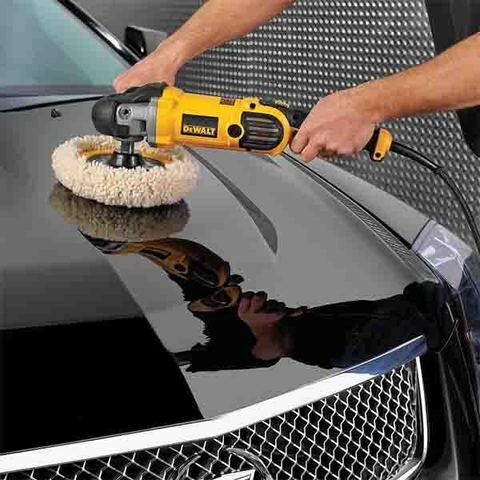 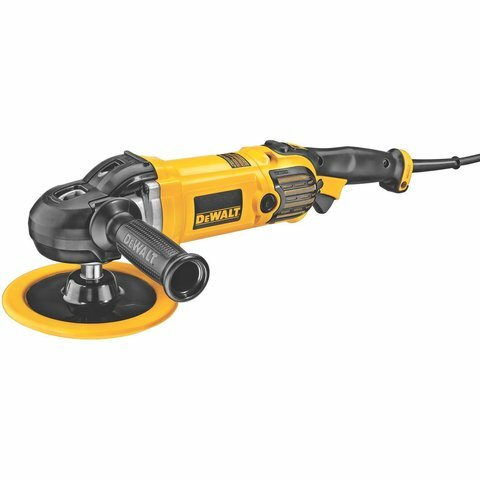 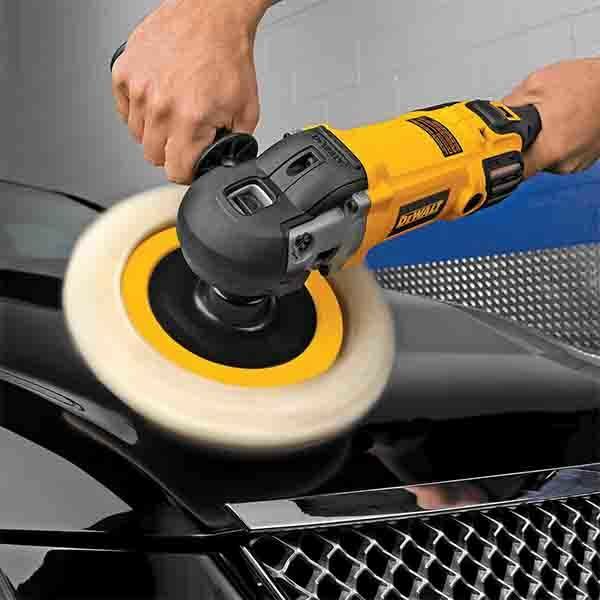 Dewalt 1250W 180mm Variable Speed Premium Polisher.. 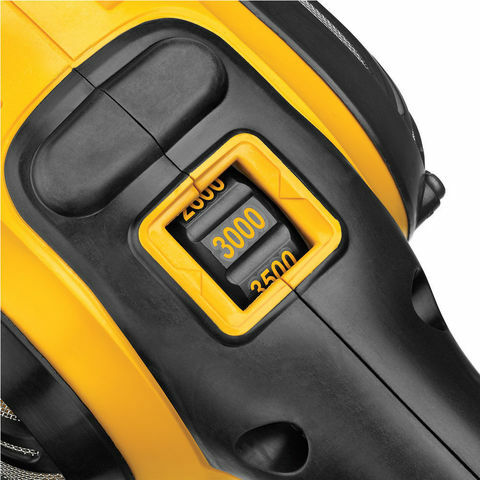 The Dewalt DWP849X is a variable speed polisher with a variable speed trigger allowing the operator to control the speed of the unit by adjusting the force applied to the switch. 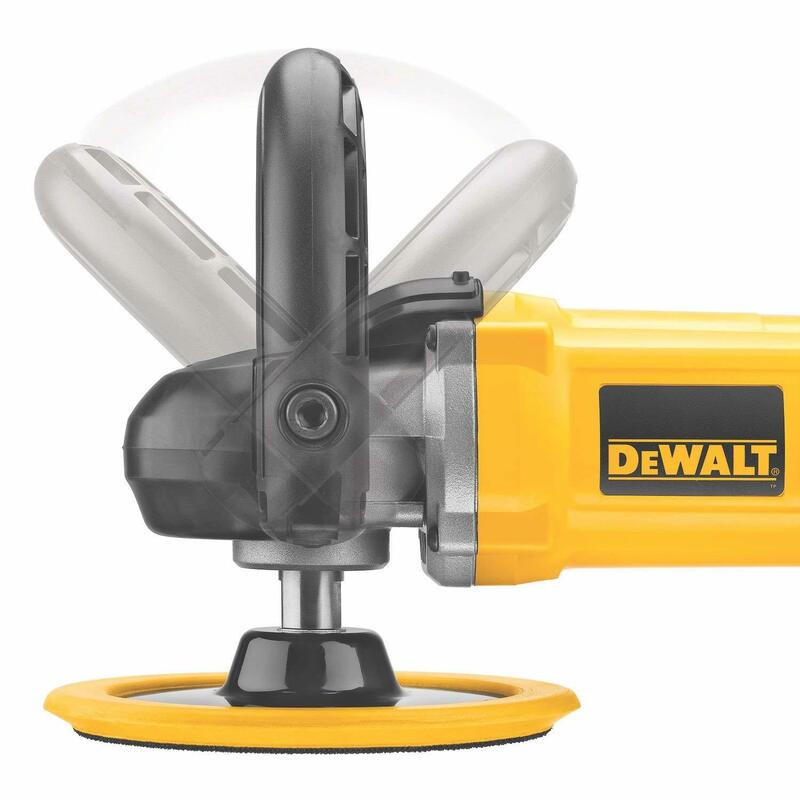 It also has a rubber overmoulded gear casing. 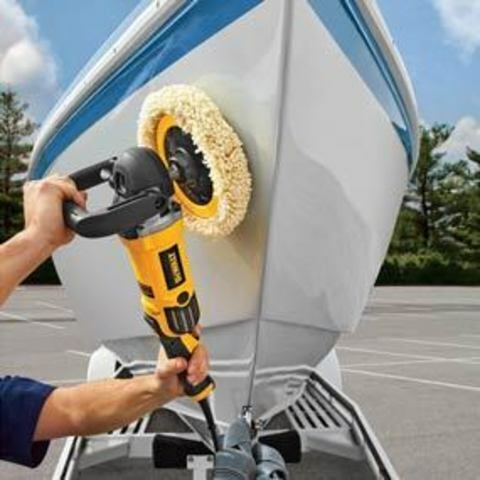 Replaceable wool ingestion shields prevent wool from being sucked into the unit and blocking the tool.